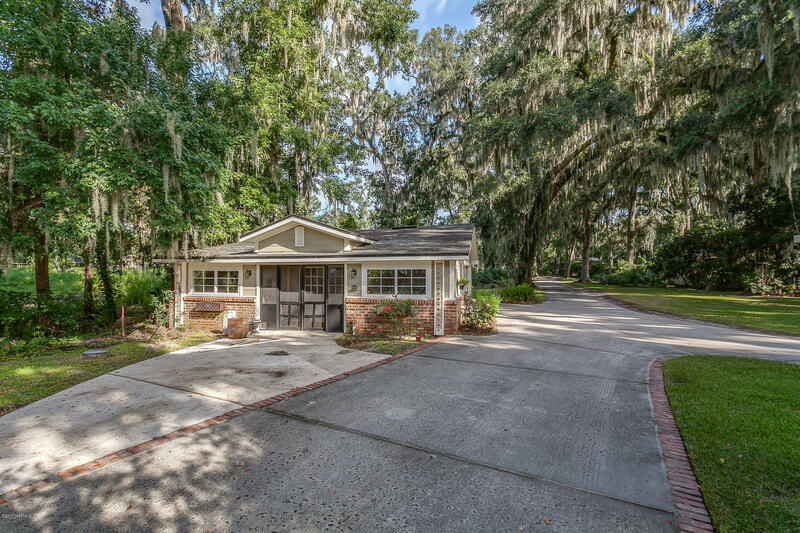 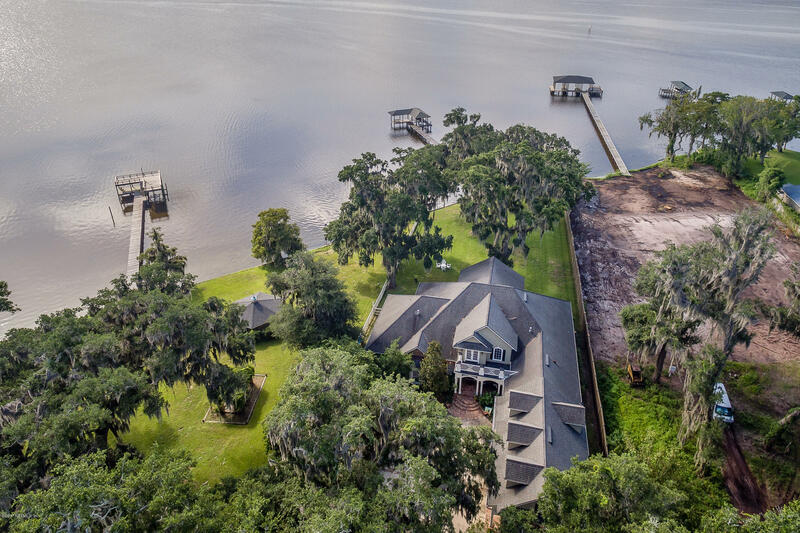 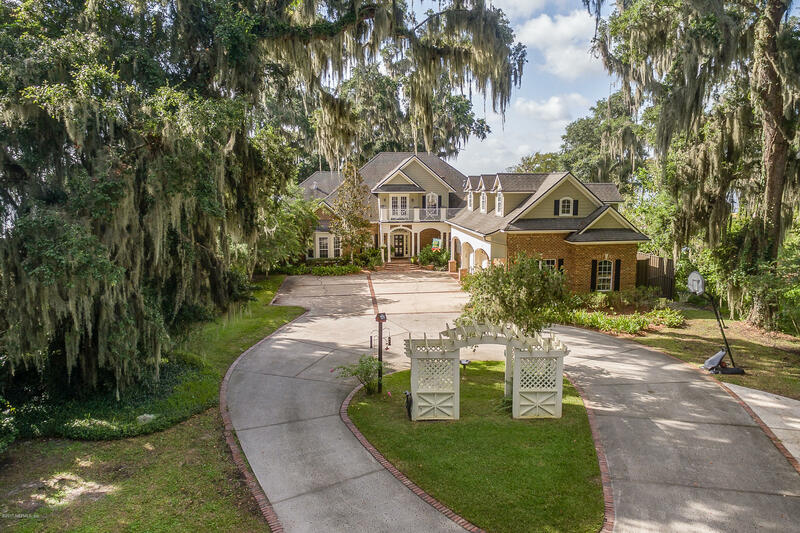 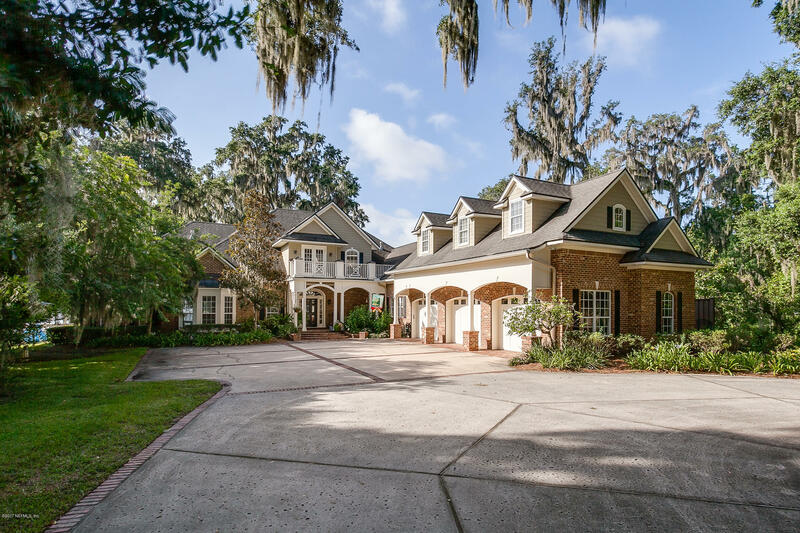 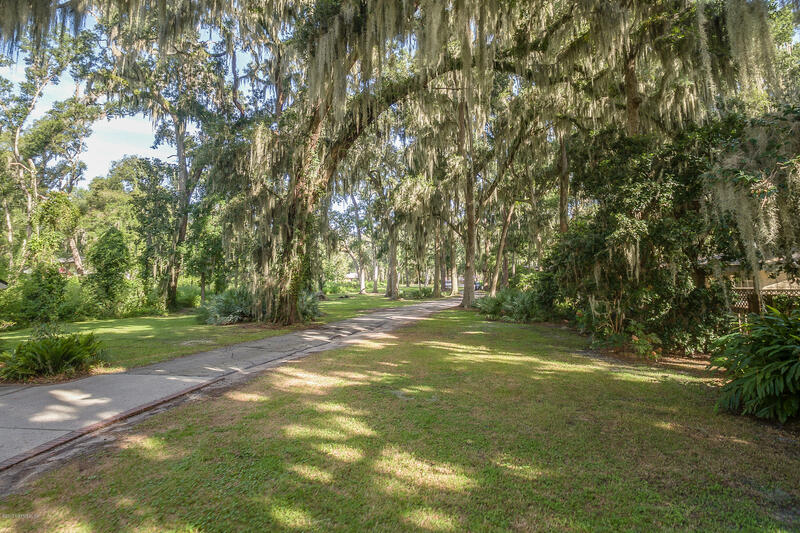 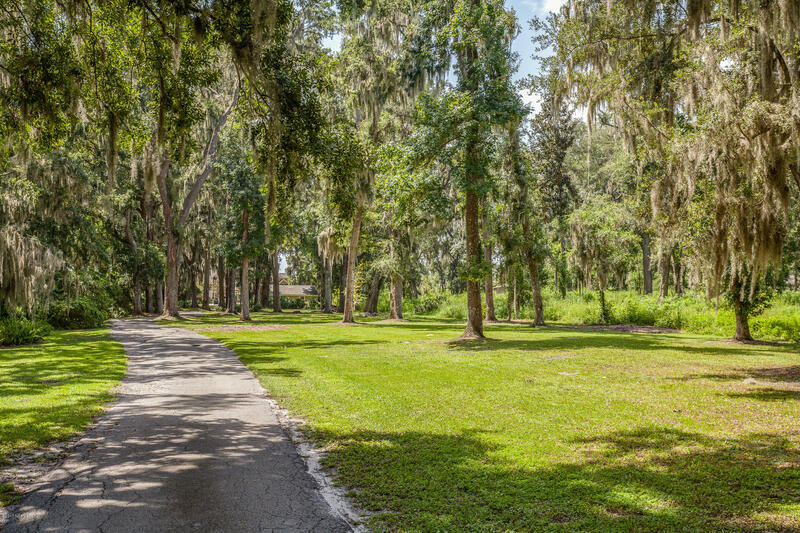 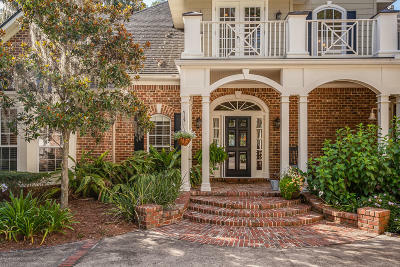 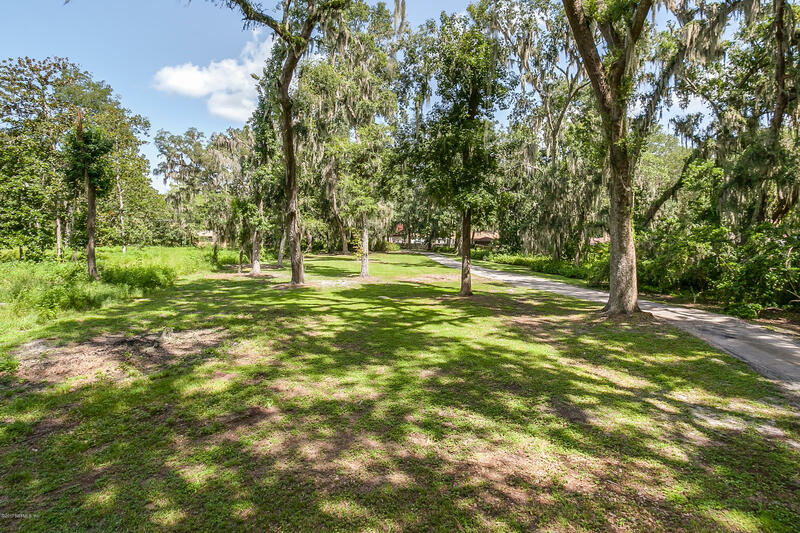 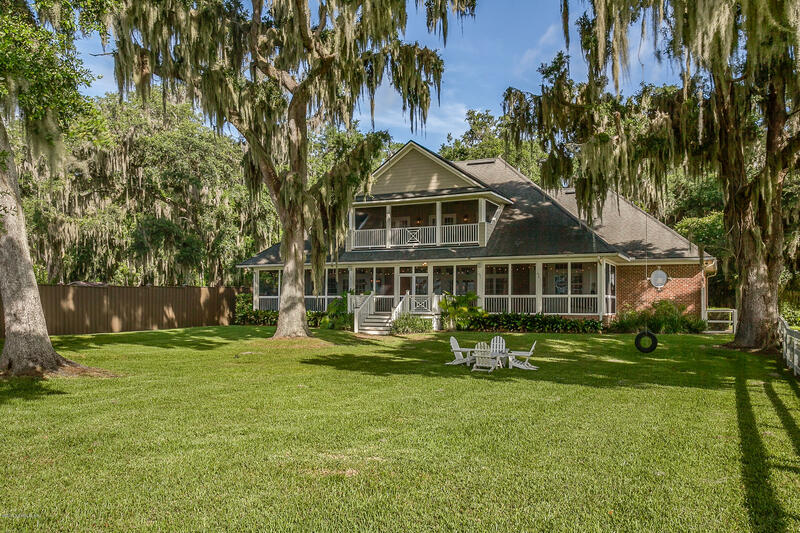 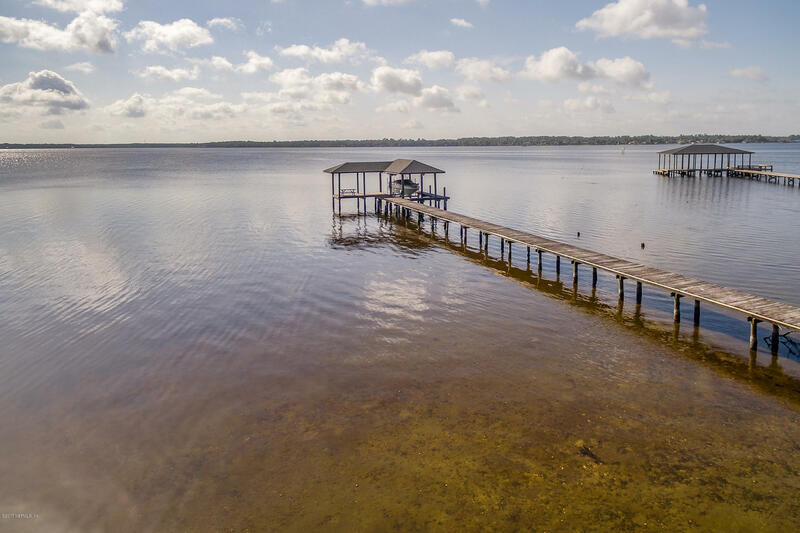 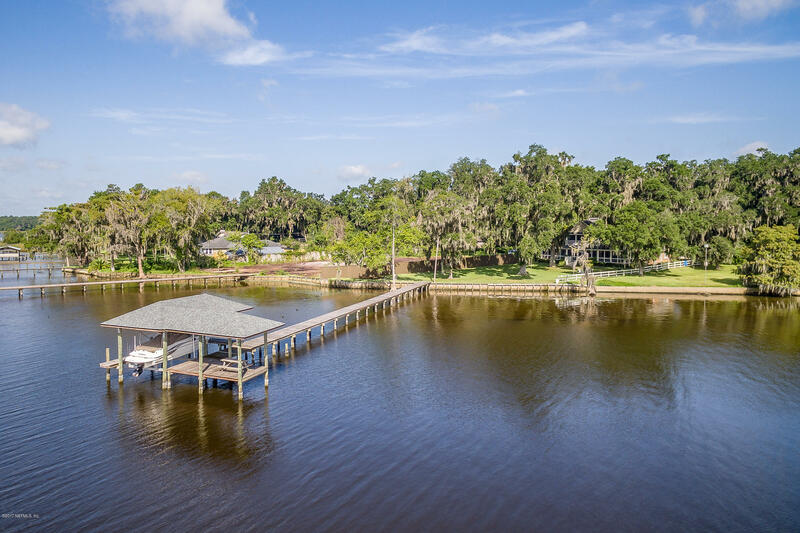 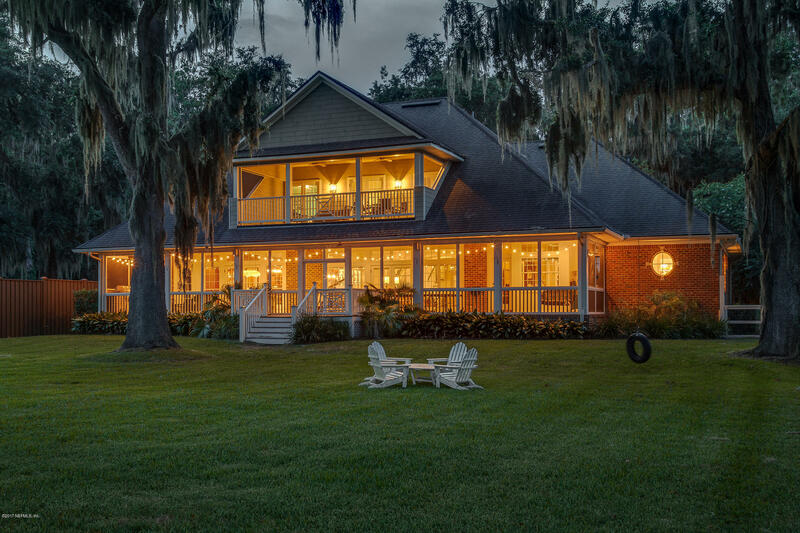 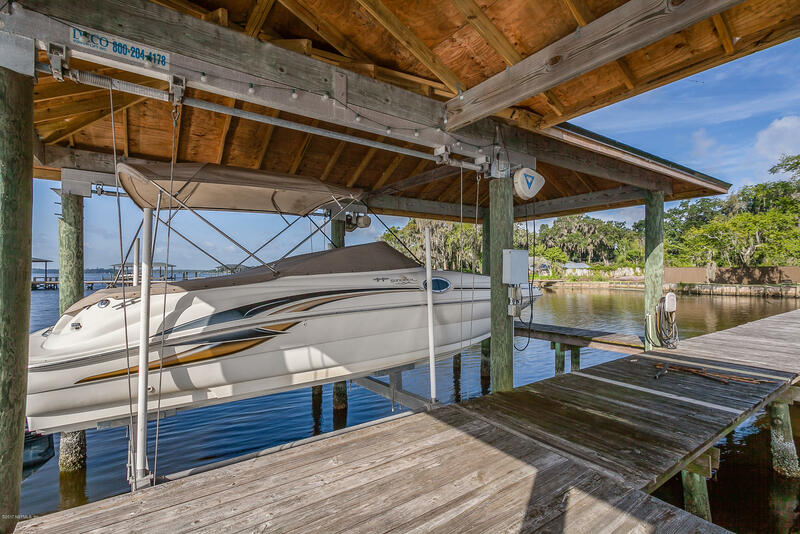 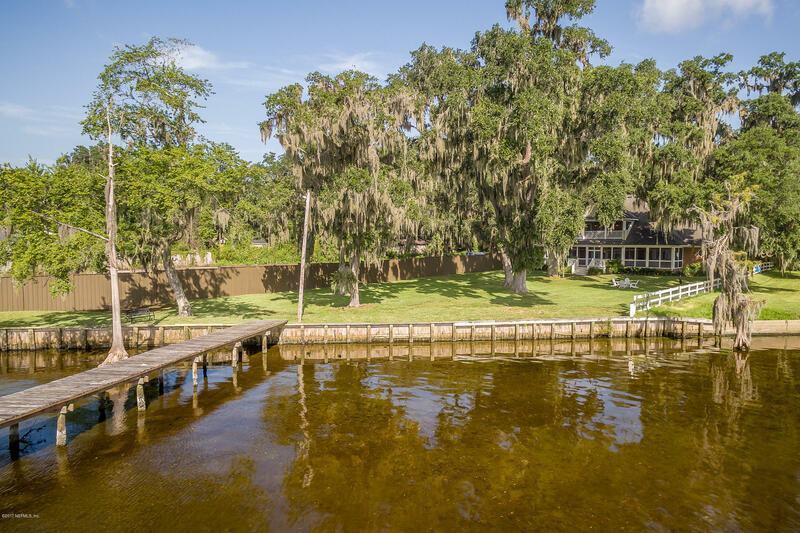 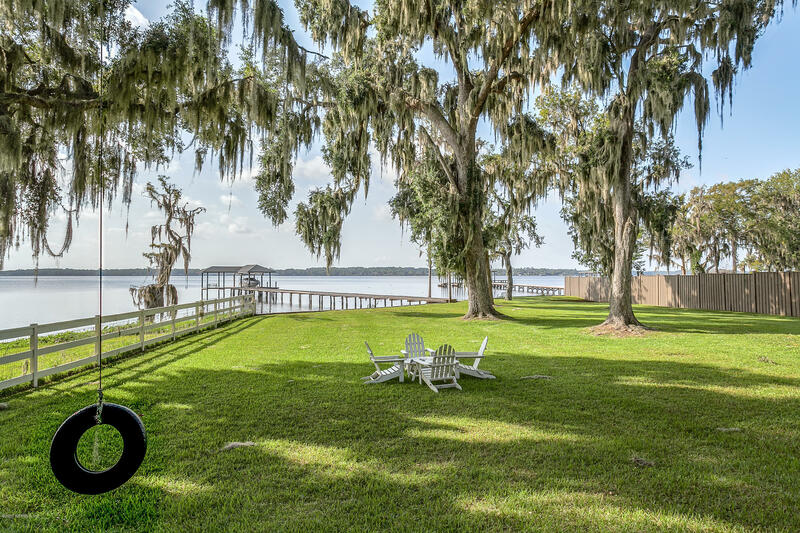 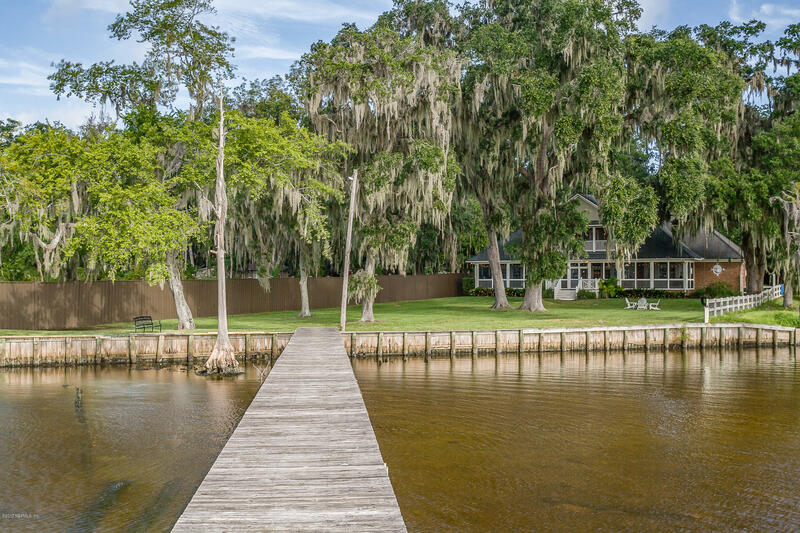 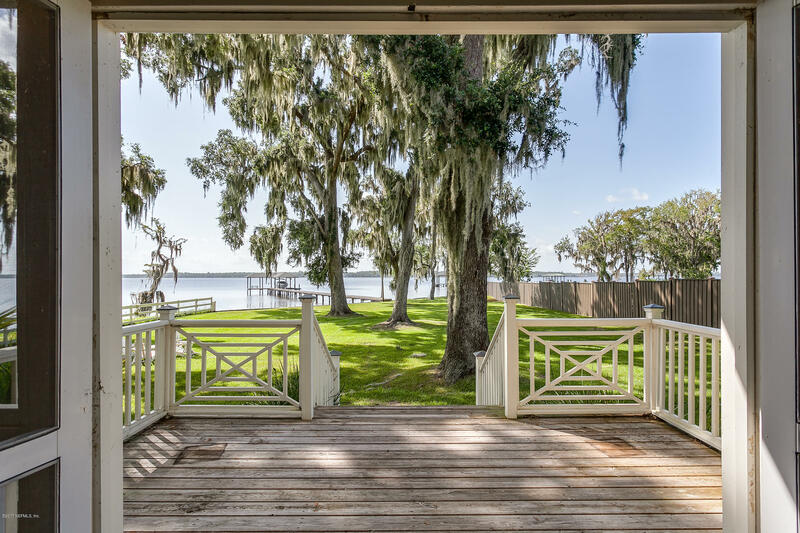 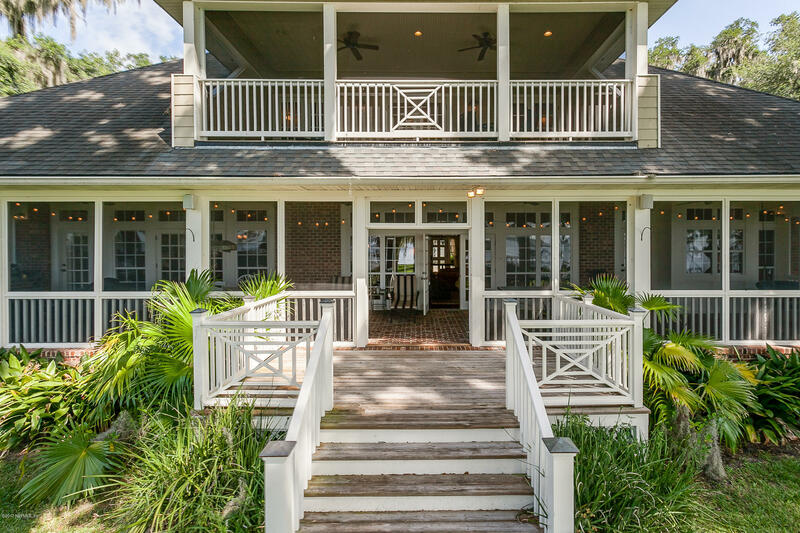 Get swept away by the grand mossy oaks as you enter the private road leading to this stunning custom built waterfront estate. 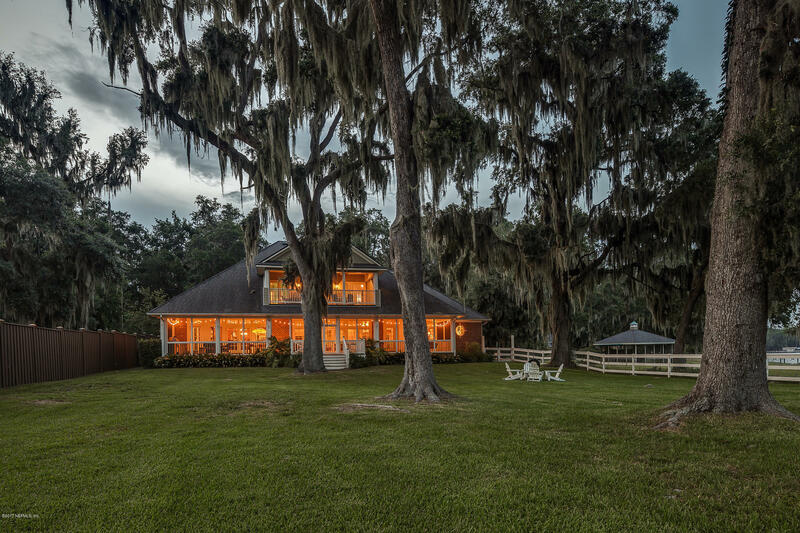 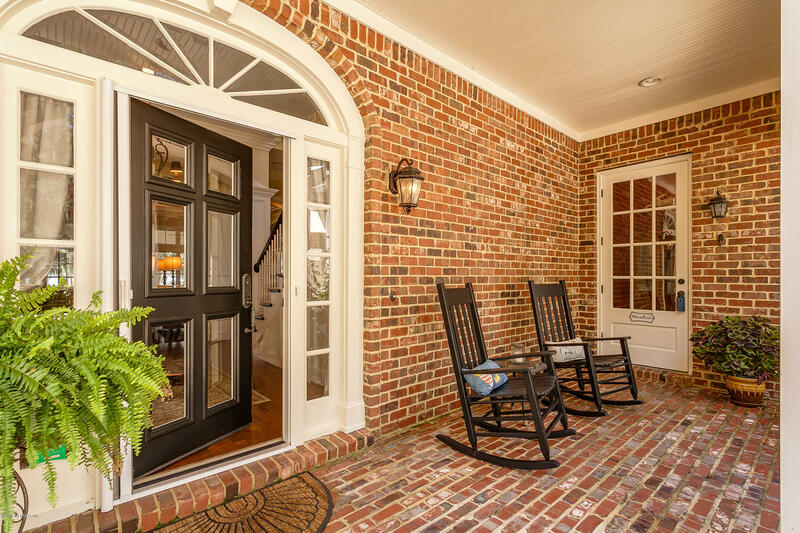 This is southern living at its finest! 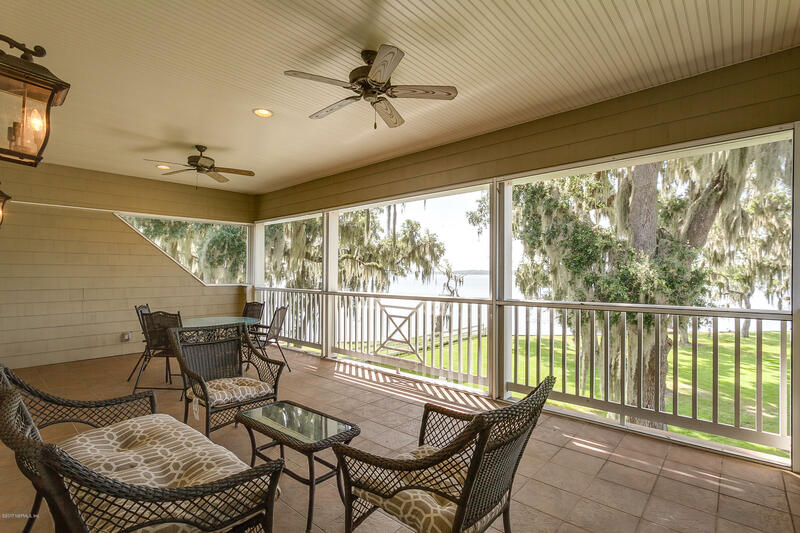 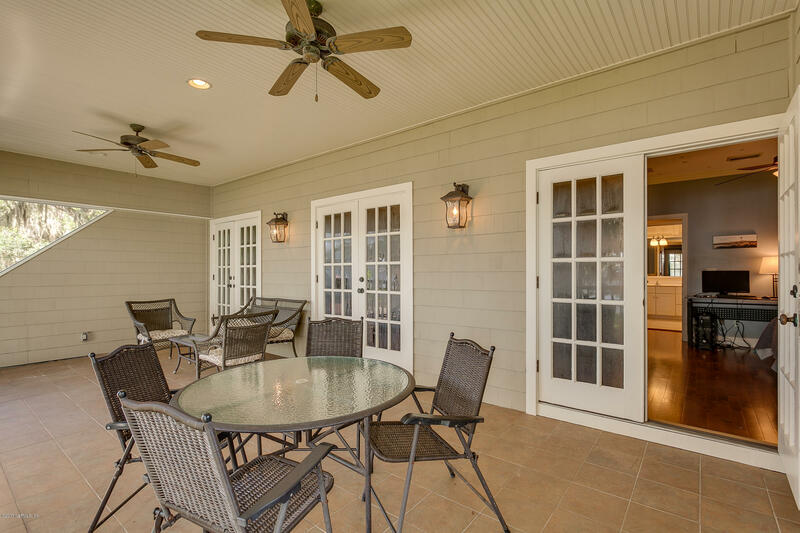 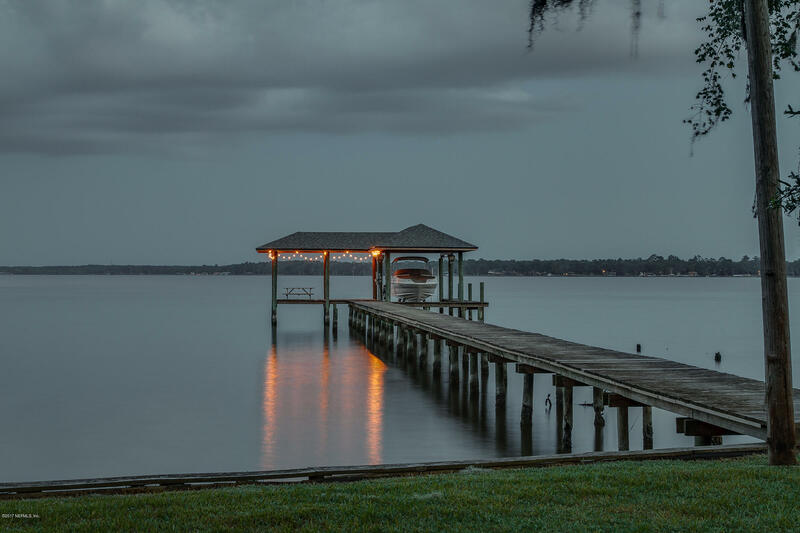 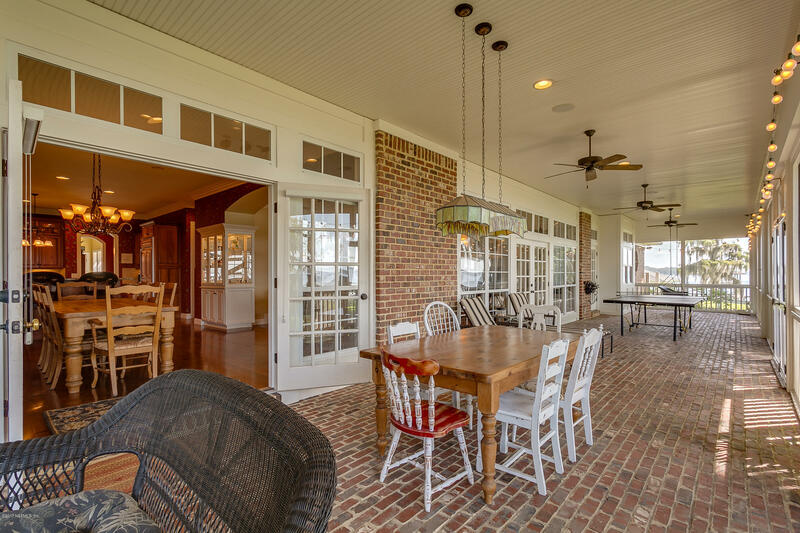 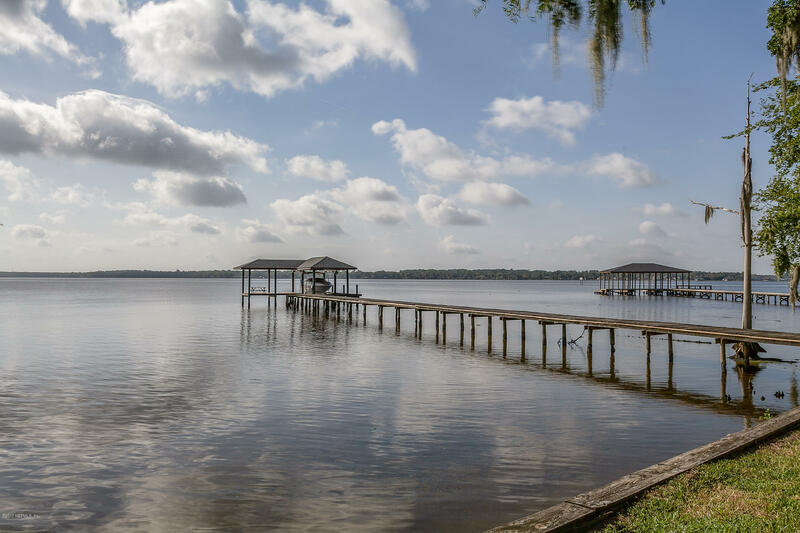 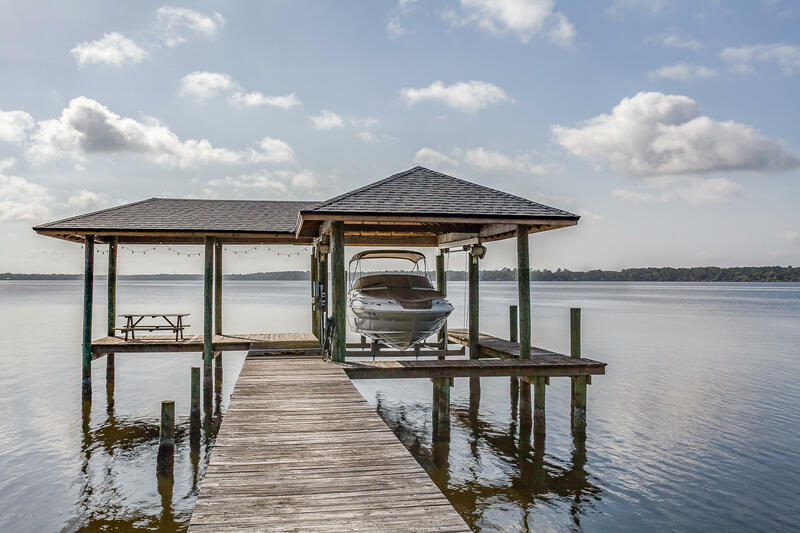 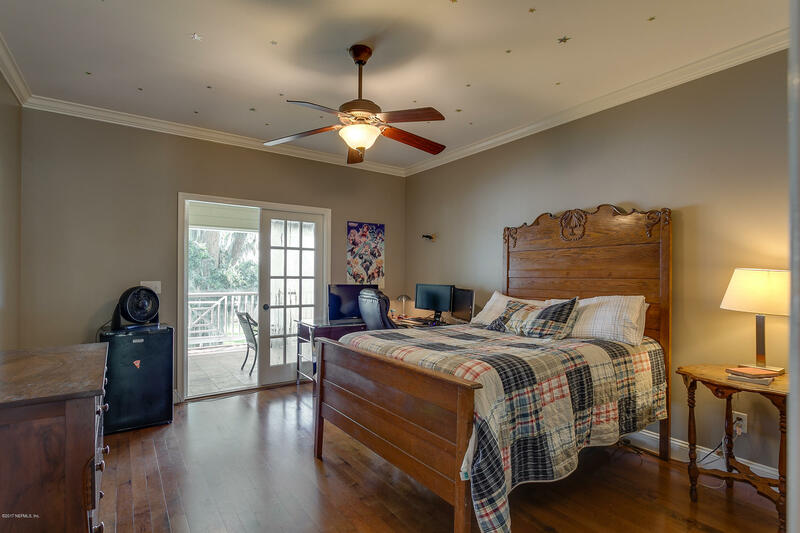 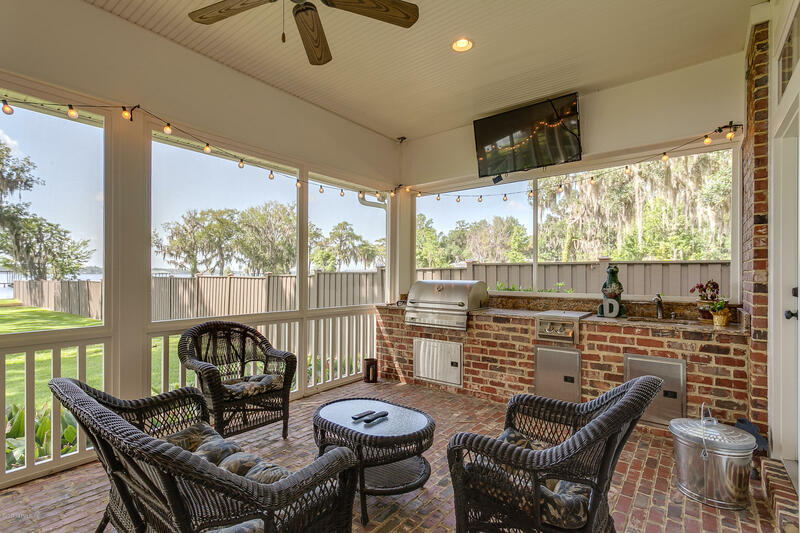 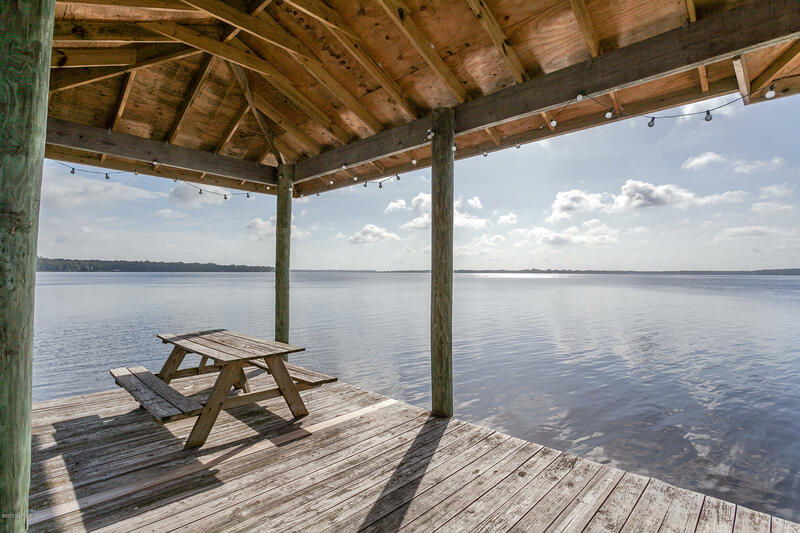 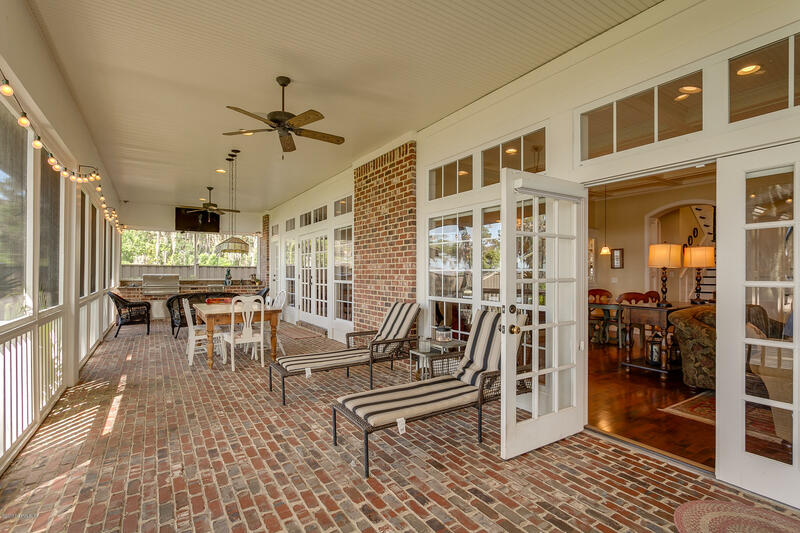 Enjoy panoramic views of Doctors Lake from nearly every room, plus the expansive screened porch offers a special place to take in the peaceful, private scenery. 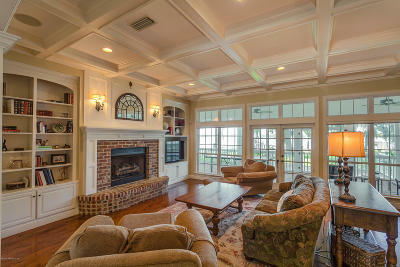 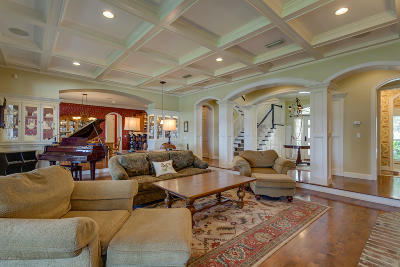 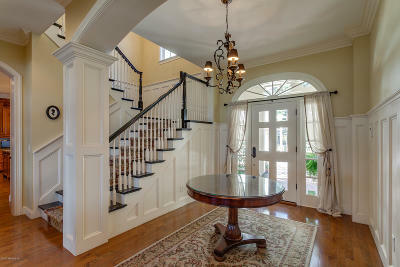 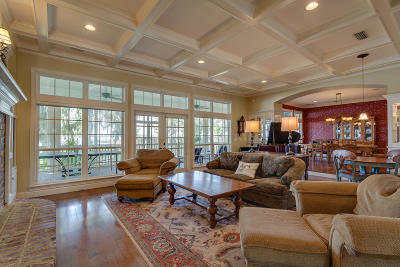 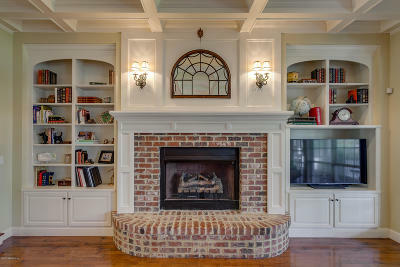 Meticulously designed & built by the owners, this one-of-a-kind home offers exceptional detail. 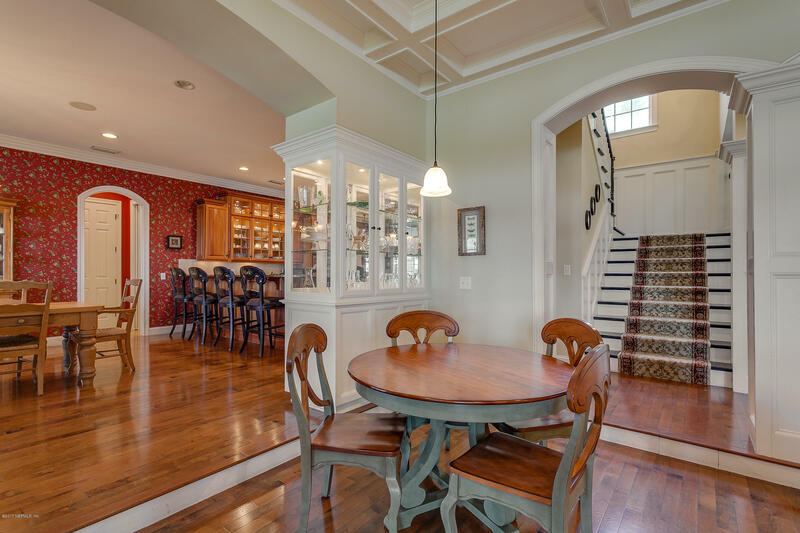 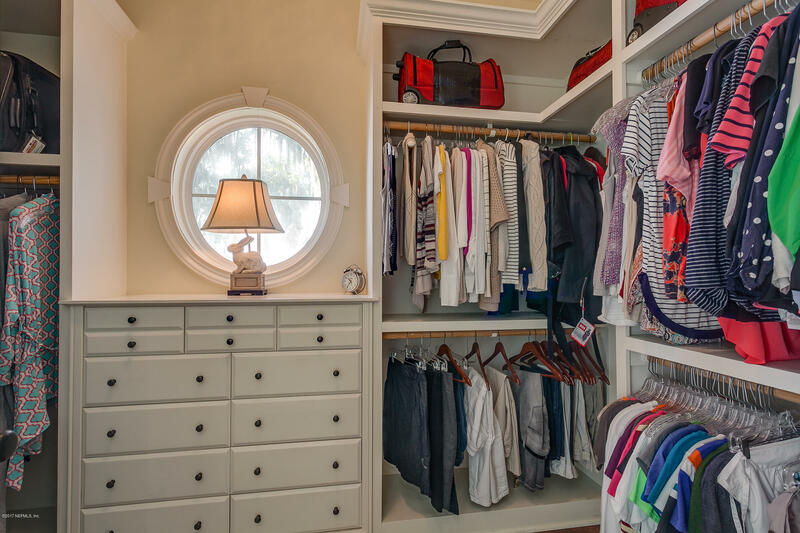 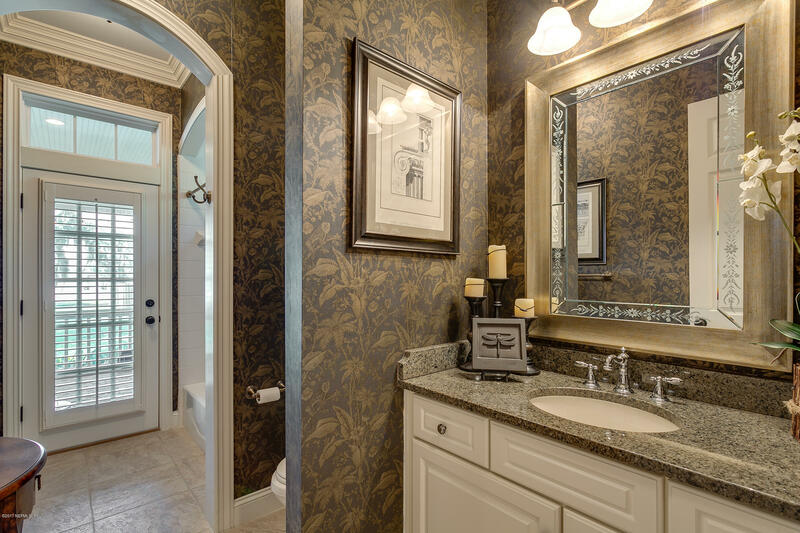 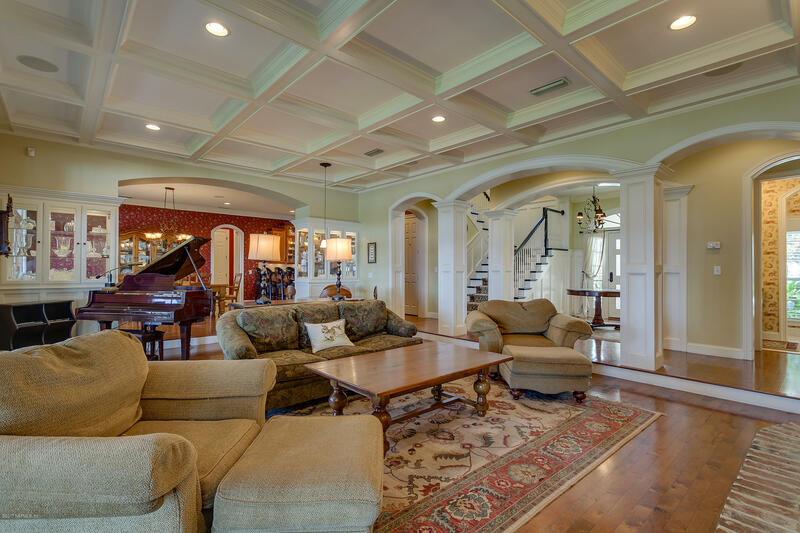 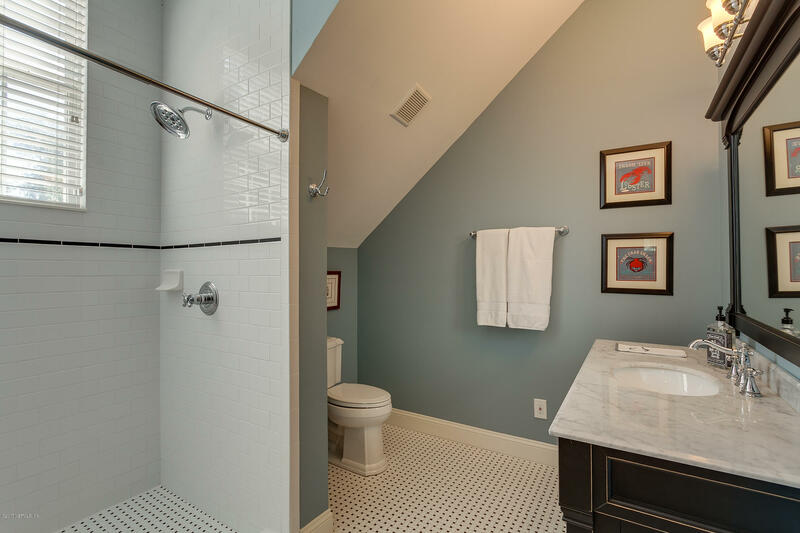 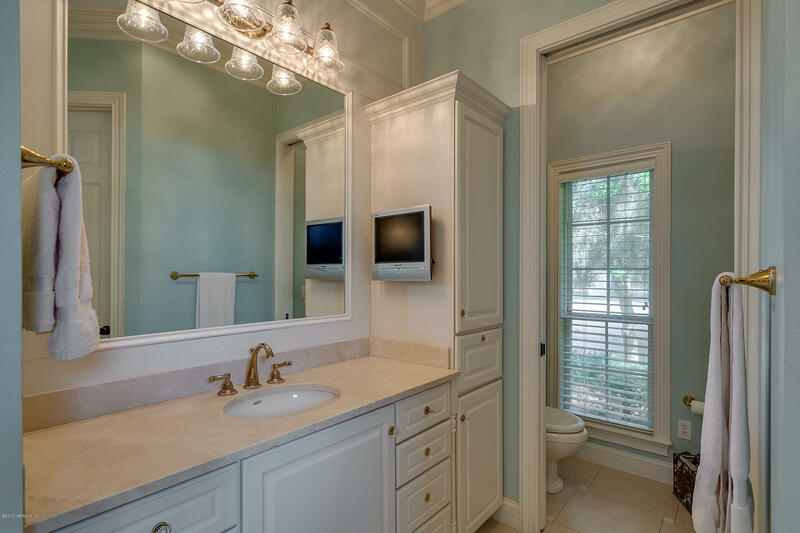 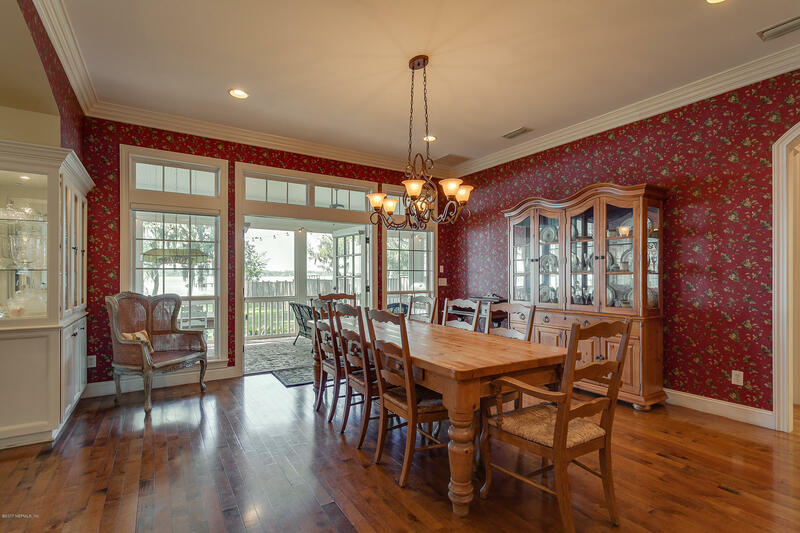 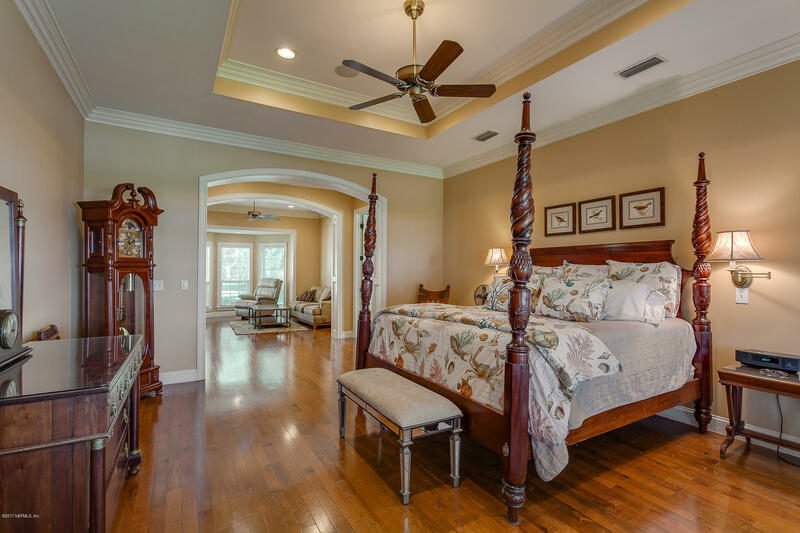 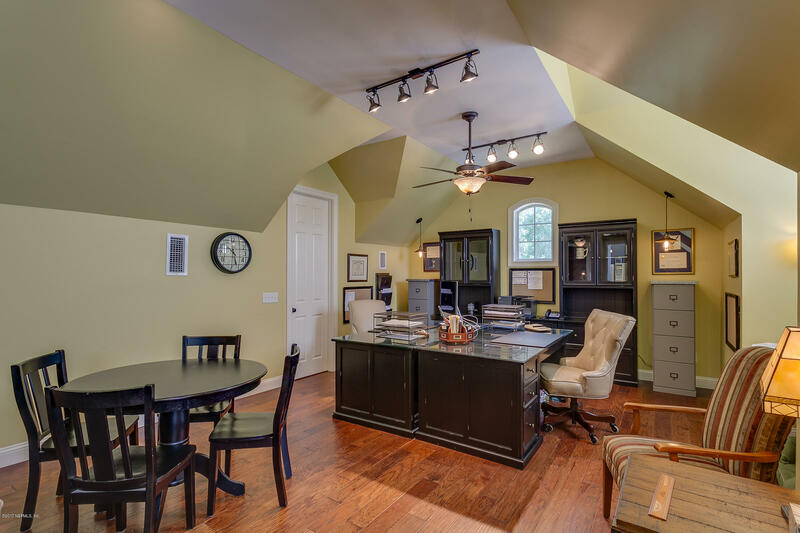 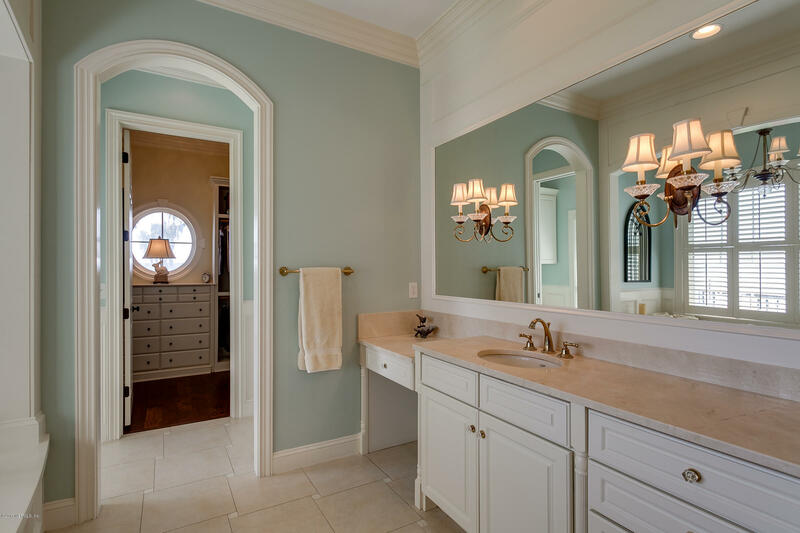 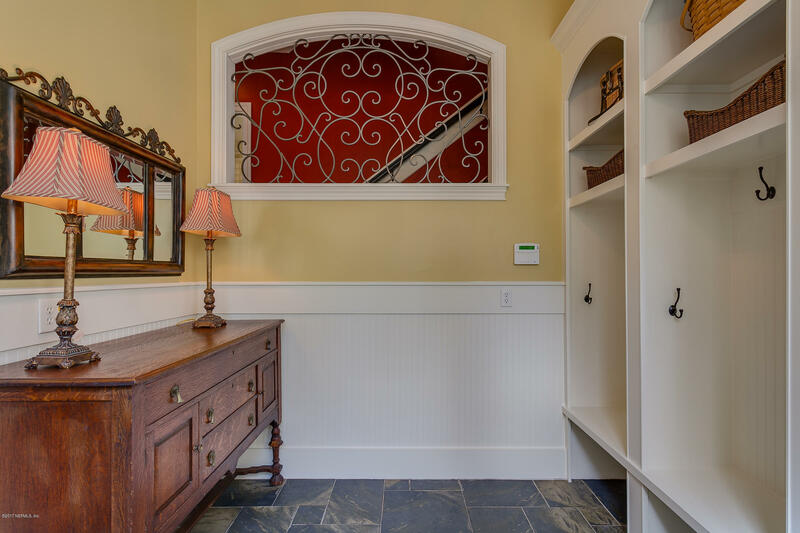 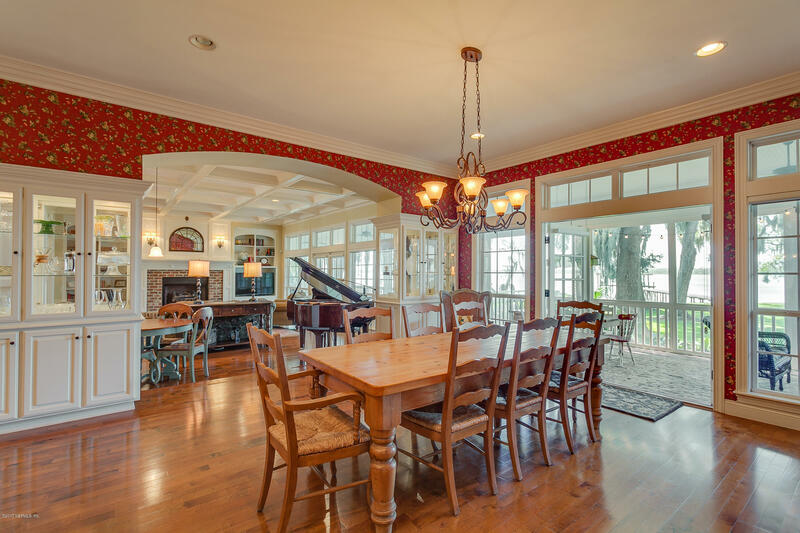 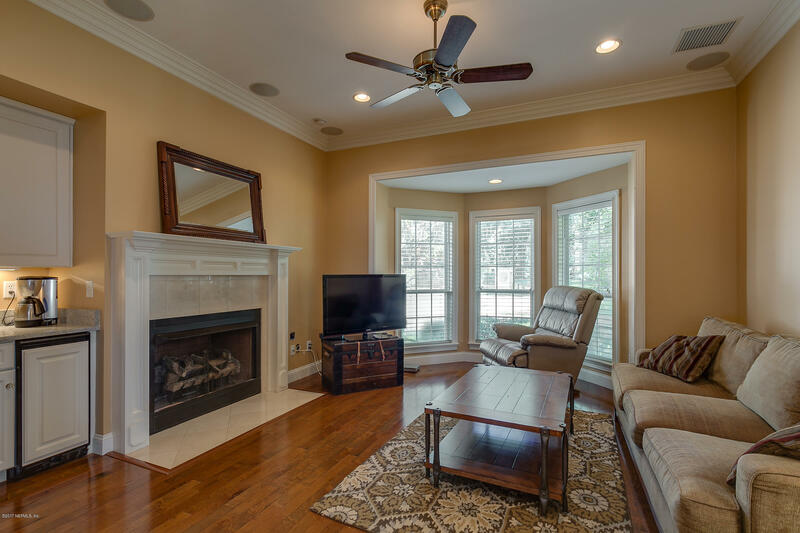 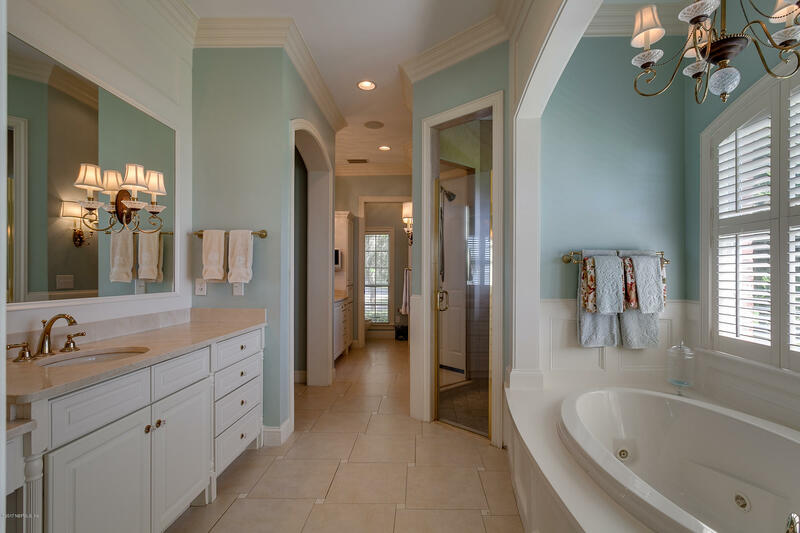 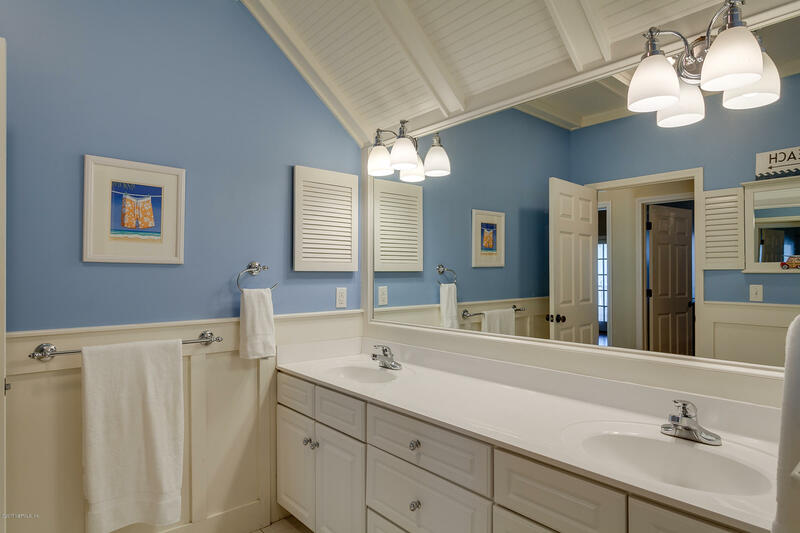 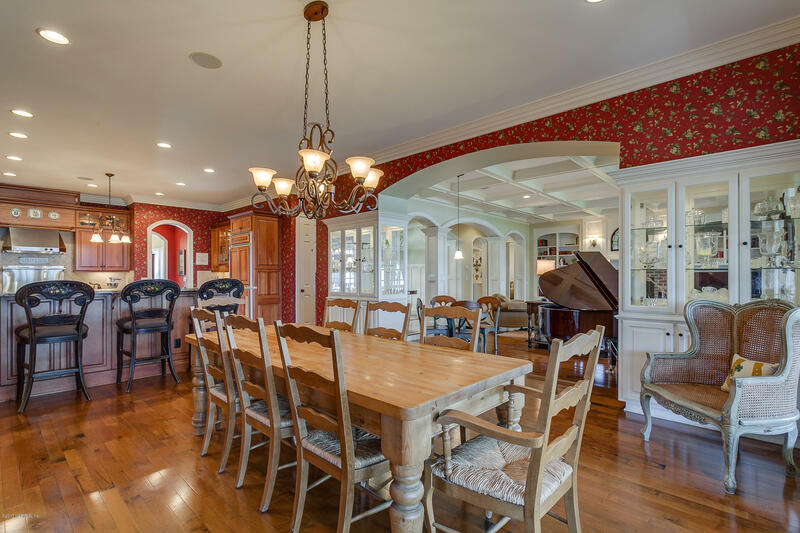 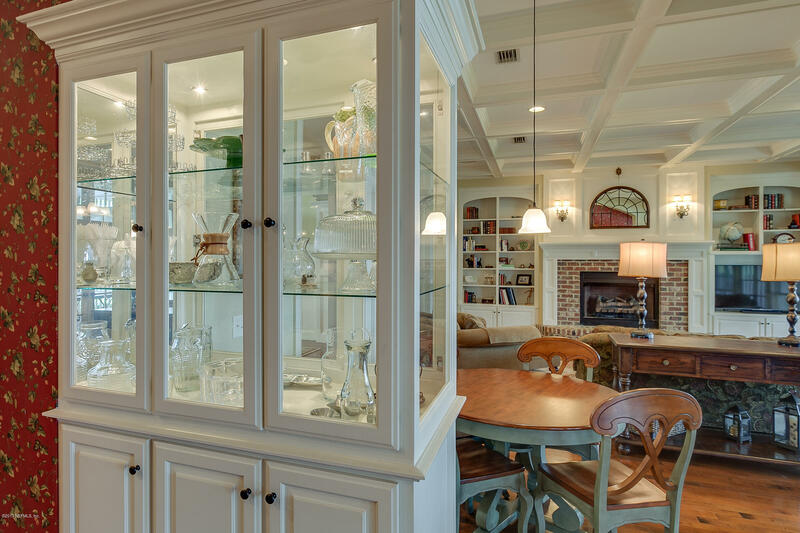 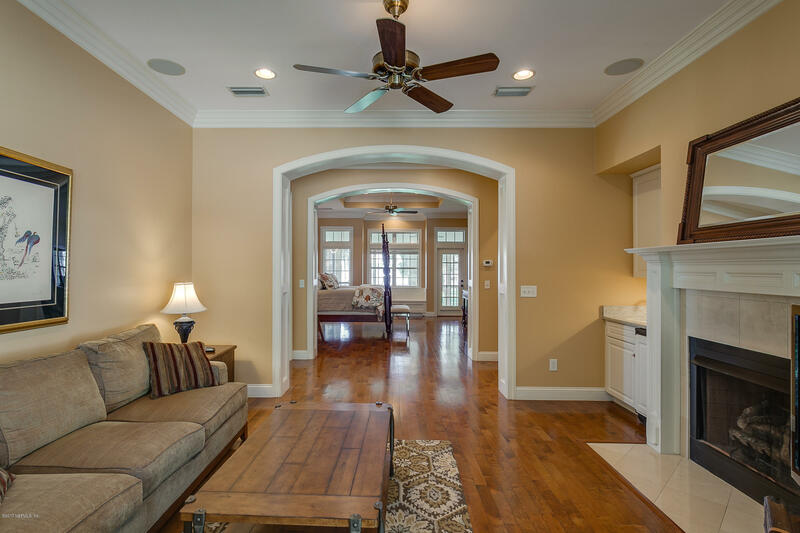 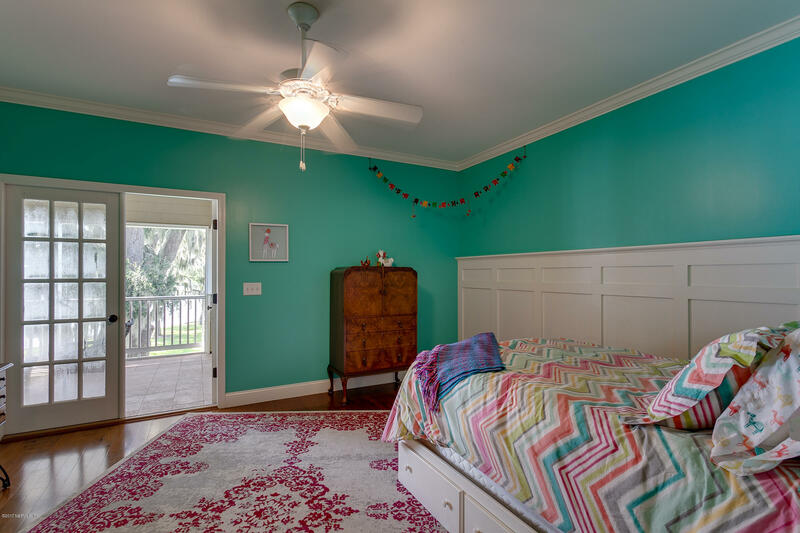 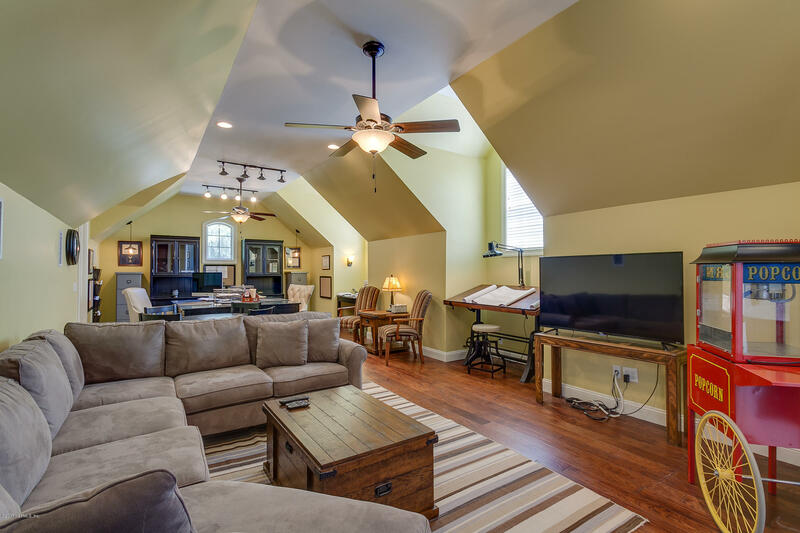 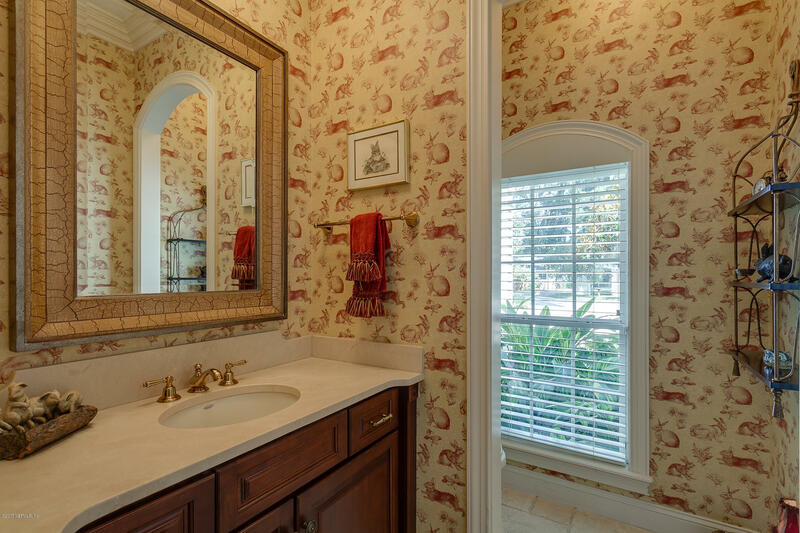 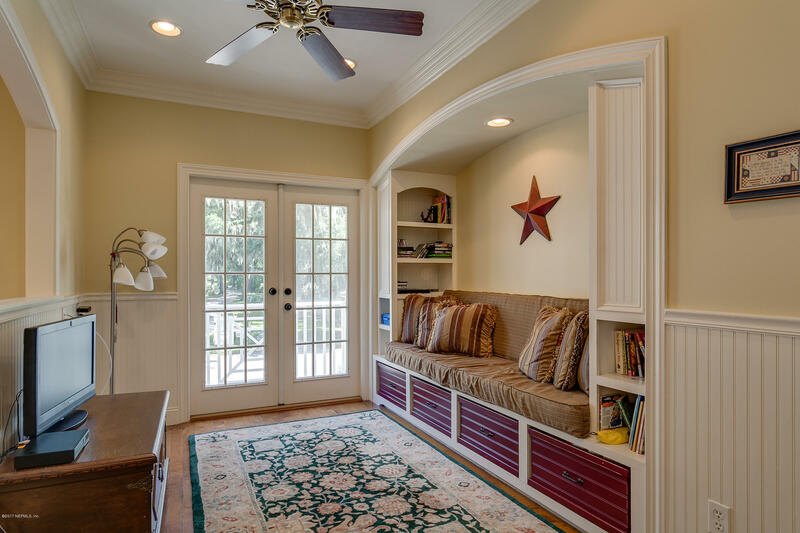 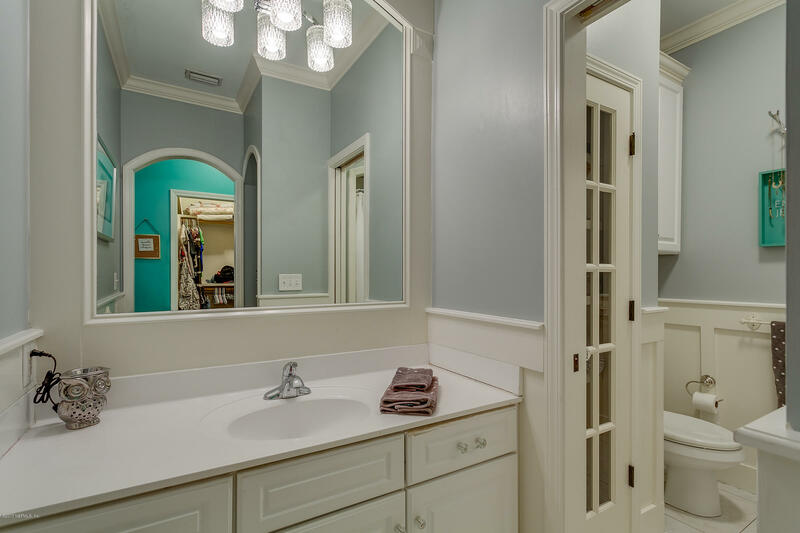 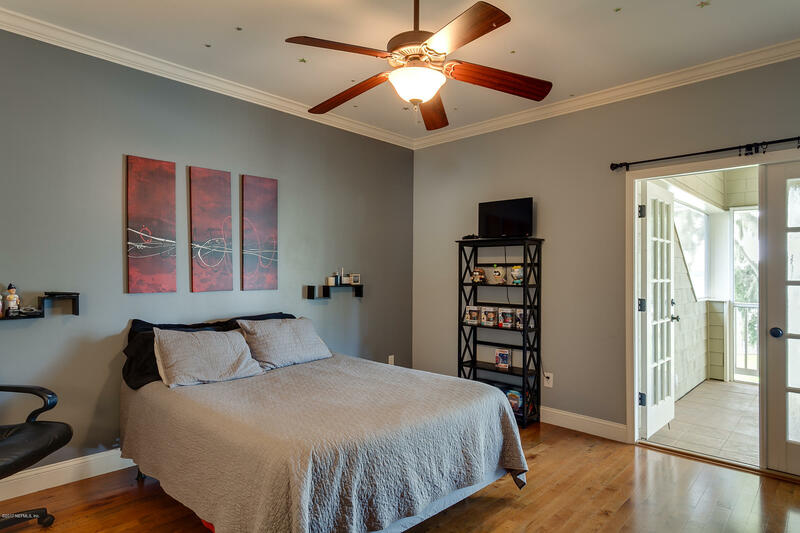 Enjoy coffered ceilings, wall trim & moldings, extended crown molding, built-ins, arched doorways,timeless wall paper & finishes- the list of interior details goes on! 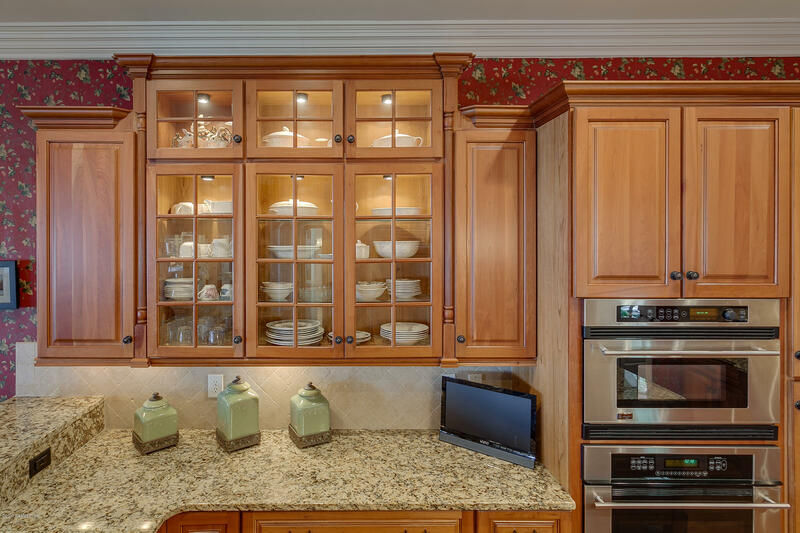 The open living, dining & kitchen offers a superb place to host any gathering. 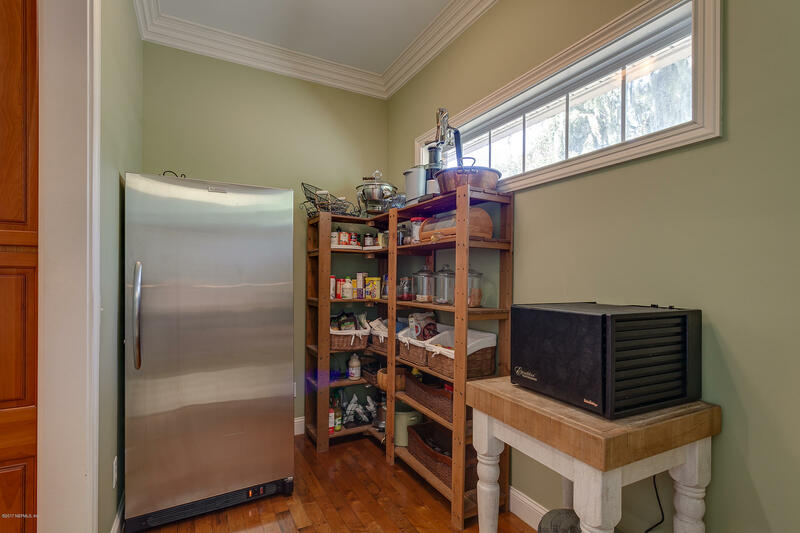 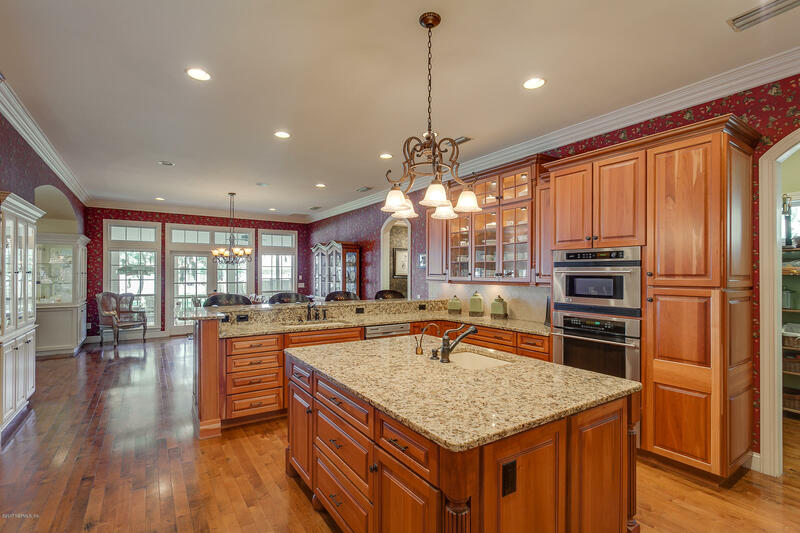 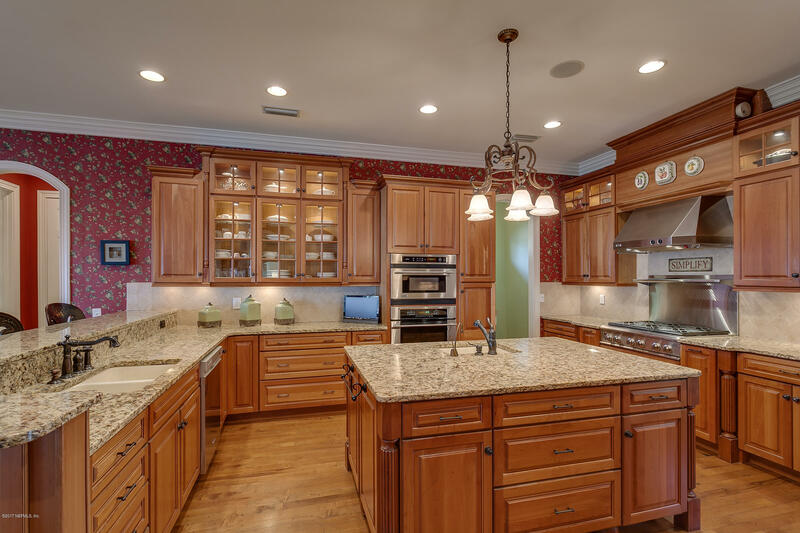 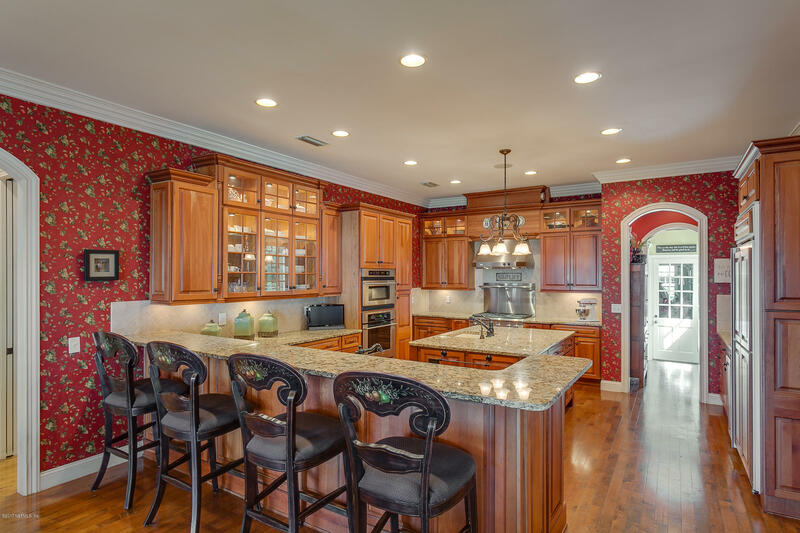 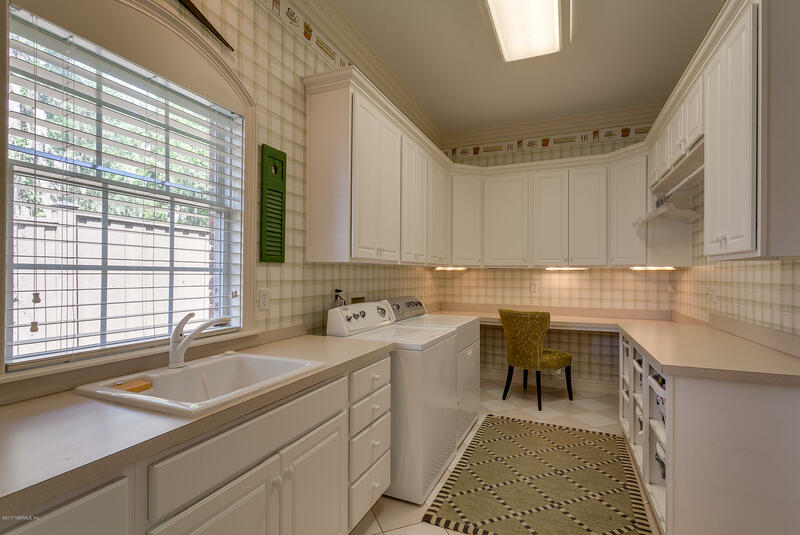 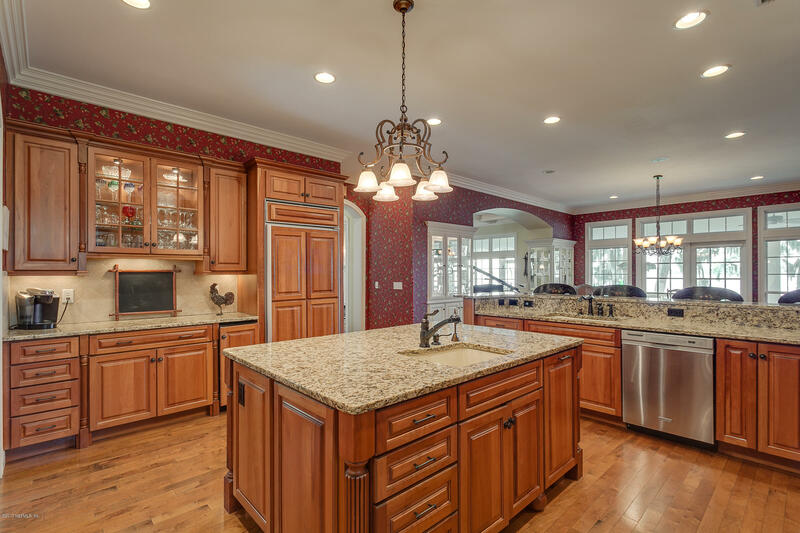 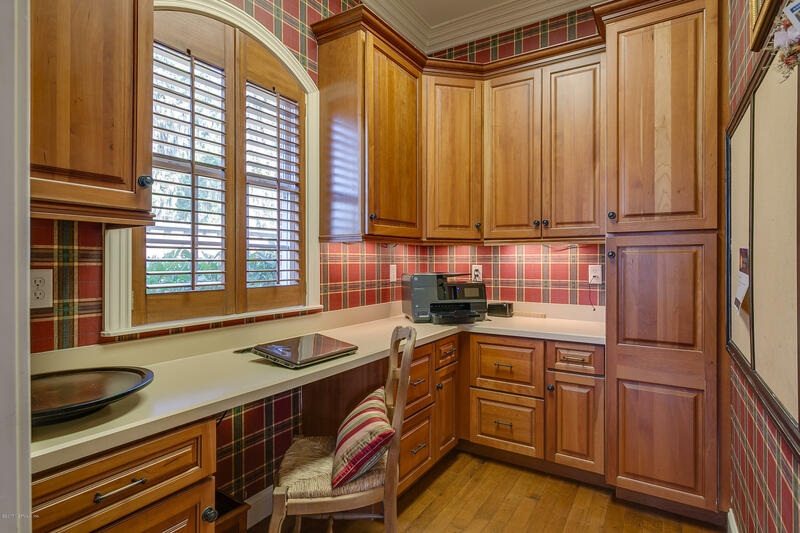 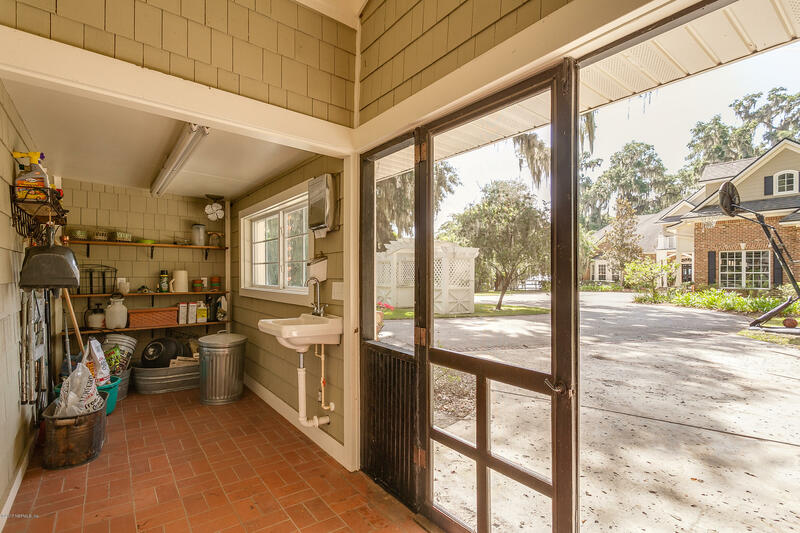 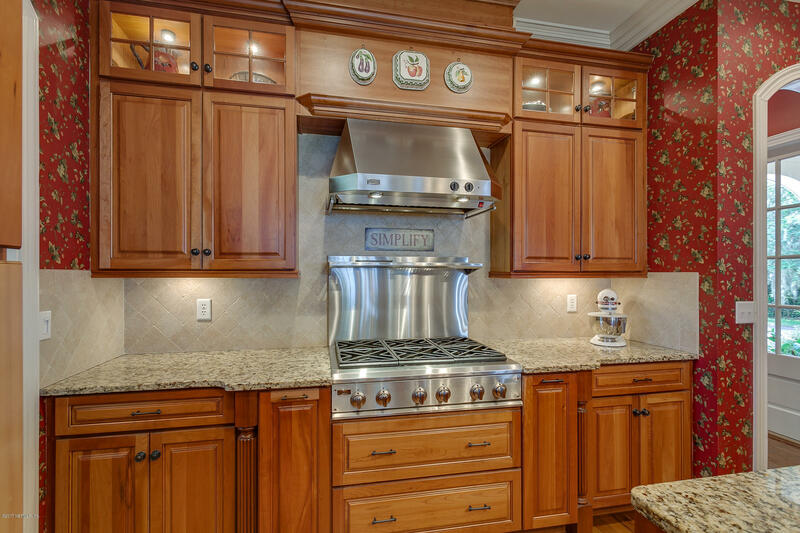 The kitchen is a chef's dream, / its warm wood cabinetry, deluxe appliances, breakfast bar, and large walk-in pantry.